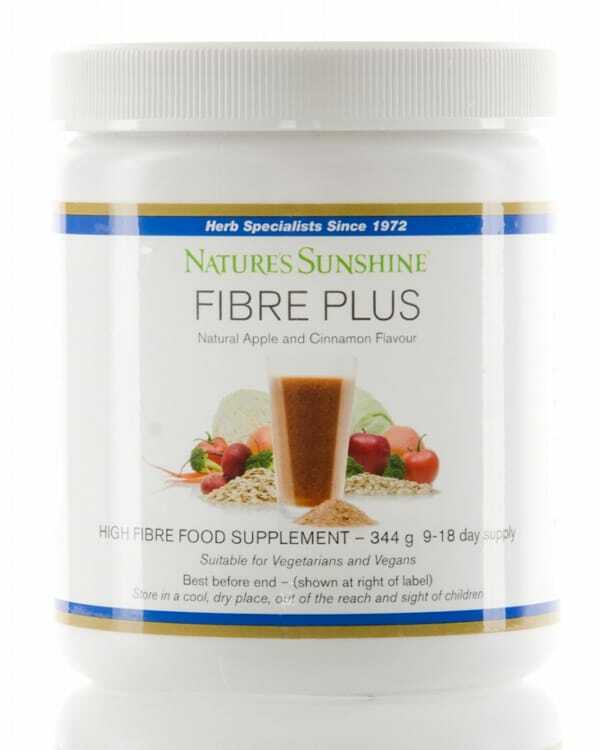 Ingredients: Psyllium hulls (Plantago ovata), fructose, apple fruit fibre, gum arabic (Acacia seyal), guar gum (Cyamopsis tetragonolobus), oat inner husk bran (Avena sativa), citric acid, cassia cinnamon bark (Cinnamomum cassia), flavouring: natural apple flavour, SynerPro® herbal food concentrate (broccoli flowers (Brassica oleracea var. italica), carrot root (Daucus carota), red beet root (Beta vulgaris), rosemary leaf (Rosmarinus officinalis), tomato fruit (Solanum lycopersicum), turmeric root (Curcuma longa), cabbage leaf (Brassica oleracea var. capitata), grapefruit and orange bioflavonoid extracts and hesperidin bioflavonoid extract), potassium bicarbonate. Recommendation: Add one level tablespoon to 250ml of cold water, shake or stir vigorously and drink immediately. Use two to four times daily. Take as recommended. Drinking enough water is essential.